Voted Best Musical on Broadway in 1983, winning 6 Tony awards! We are proud to present this glamorous and lavish show for your enjoyment. It is set in Saint Tropez in the south of France. 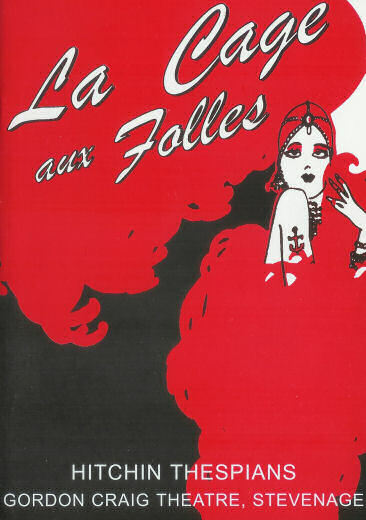 La Cage Aux Folles is a club that presents spectacular shows with dancers and singers of both genders in flamboyant dresses of sequins with feather boas. 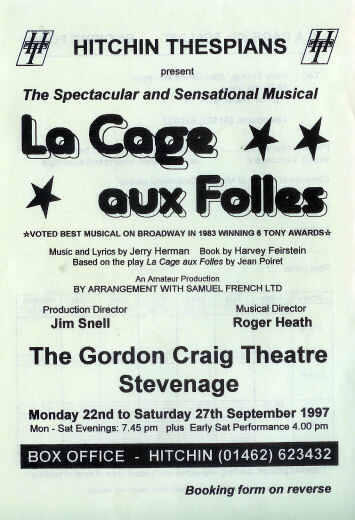 Musical Director Roger Heath, and Produced by Jim Snell assisted by Mollie Gilbert. 'Masculinity'. A lesson for Albin. Promenade at Saint Tropez. Anne and Jean-Michel dancing, 'With You On My Arm'. The family preparing for a visit by Anne's parents. La Cage Aux Folles club in full swing.